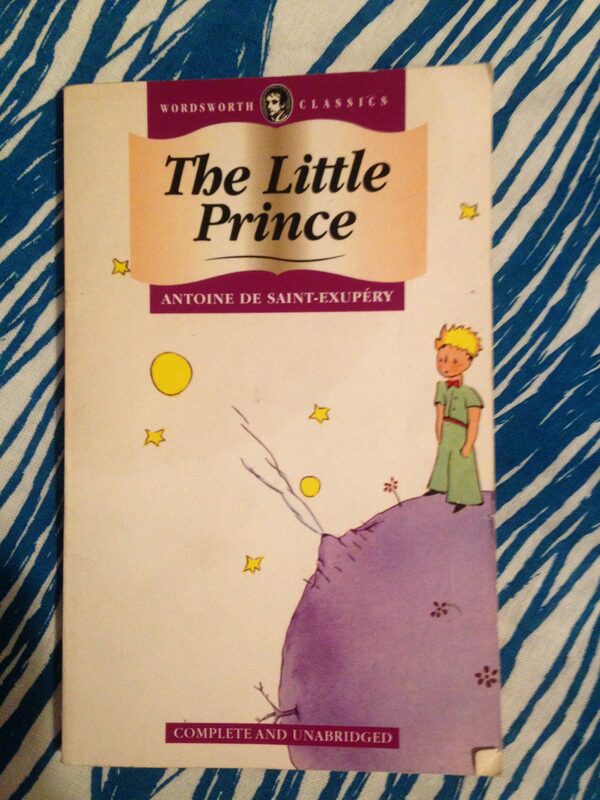 It’s almost impossible having now read The Little Prince, but I seem to remember a time before I knew about it. I certainly only read it for the first time recently, but the image of the cover seems to have been with me since before my memories begin. Like many books, I picked this copy up for next to nothing at a book fair. I’d promised myself one novel from my long list and, despite finding several options, I returned for this one. It seemed so slender and simple that it couldn’t be anything other than a joy to read. So often I find myself skipping over spine after spine, almost overwhelmed by the serious reading to be done that finding a book so enchanting as this was a wonderful surprise. The Little Prince itself comes from less auspicious beginnings. Its author, Antoine de Saint-Exupery, crashed in the Sahara in 1935 whilst flying a two-man plane to Vietnam. Marooned for four days with his copilot, Saint-Exupery survived the heat and dehydration until rescued by a passing Bedouin. Both experienced hallucinations and mirages before rescue. Drawing on this experience, the novella is the reminiscence of a Pilot who once crashed in the desert, only to meet the Little Prince of the title. An unusual and unworried figure, the Prince tells the pilot about his journey to Earth from his home planet, where he and a single rose are the only residents. As he travels through space, the Prince meets all manner of men, each representing typical flaws of what we’re told is “adult” life. He finds a King with no subjects, a businessman endlessly counting stars and, among others, a man eternally lighting and snuffing a lamp. In a few words, it’s clear the absurdity of each of these men and why the Prince continues travelling. In the Pilot, he seems to find something close to a soulmate, sharing a love of childish art and passing on wisdom he has learnt. The great success of The Little Prince is it’s ability to raise the most dramatic of questions in the simplest ways. Like Animal Farm, it pushes allegory to absurdity yet speaks to children as if it is only they who still have hope of learning from it. As Adam Gopnik writes in The New Yorker, The Little Prince teaches that “the world conspires to make us blind to its own workings; our real work is to see the world again.” Perhaps it is children, not yet blinded, who have that chance. The Little Prince is a perfectly judged short novel, mixing childish imagination with intelligent criticism of the world around us and ourselves for accepting it the way it is. Perhaps that’s why it seems to begin before it’s read and endure after its closed. It’s an eternal reminder of who we all are, passed down for over 75 years so far, with much longer to follow. Antoine de Saint-Exupery was born in France in 1900. Most famous for The Little Prince, he vanished in 1944 while flying a reconnaissance mission for the Allies. His body was never recovered.